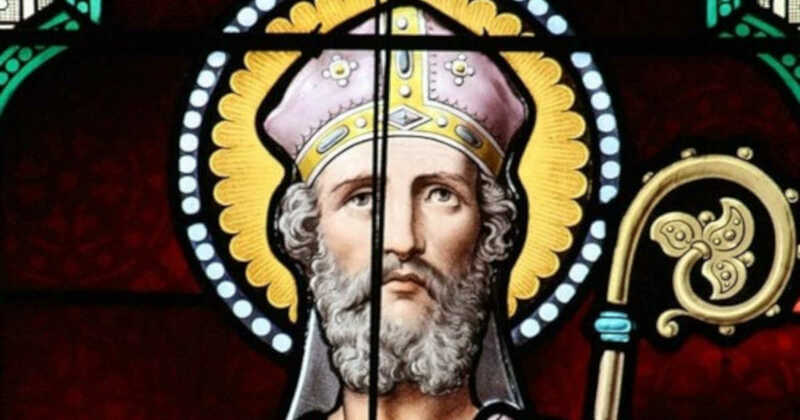 Saint Anselm of Canterbury - My Catholic Life! Few bishops have been canonized as saints since the Catholic Counter-Reformation of the sixteenth and seventeenth centuries. The earlier history of the Church is, however, replete with saintly bishops. In the patristic era, in the first few centuries after Christ, a vast constellation of saintly bishops shined on the Church. Today’s saint was a scholar bishop in the mold of the educated churchmen of an earlier time. Saint Anselm was a world-class thinker, a politically aware defender of the Church’s rights, a contemplative monk, a faithful son of the pope, and the greatest philosopher of the eleventh century. 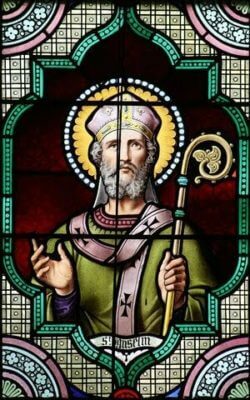 Saint Anselm entered the Monastery of Bec in Normandy, France, as a young man and quickly impressed his superiors with his character and incisive mind. He was elected prior, then abbot, at a young age. He was a deeply prayerful abbot who was close to his monks and who hated to be away from the cloister. The monastery had many dealings with England due to its close proximity to that country, however, so Anselm travelled there regularly. These visits eventually led to his appointment as the Archbishop of Canterbury. Anselm spent many years as archbishop in conflict with English civil power over who had the authority to “invest,”or empower, a bishop with the symbols of office at his installation Mass. The lay investiture controversy was a long simmering dispute throughout Europe. It was eventually resolved in favor of the Church’s right to invest its own bishops with crozier, miter, and ring. Much more than his role as a pastor in church-state conflicts, Saint Anselm’s most enduring legacy is as a philosopher and theologian. Thinking was his avocation even as the monastery was his vocation. Anselm’s famous definition of theology as “Faith seeking understanding” has guided centuries of Christian thinkers. Anselm was a working intellectual who produced erudite works on a range of complex subjects. He is the originator, in particular, of the ontological argument for the existence of God. The argument is ontological (or just “logical”) in that it is not empirical (scientifically verifiable). It does not argue from outward in, starting with external, observable evidence and then moving toward internal conclusions. The argument is powered, instead, by the raw strength of reason itself. As an example of a reason-driven argument, no one needs to search the world over for square circles to conclude that square circles don’t exist. Circles are round, by definition. And no one needs to interview every single bachelor to know that a bachelor is male. A bachelor is, by definition, male. Similarly, the very definition of God, Anselm’s holds, is proof that God exists. Anselm argued that God is a being than which none greater can be imagined. Supposing that the mind can imagine nothing greater than God, and further supposing that what exists in reality is greater than what exists only in the mind, then God must exist in reality. God’s non-existence is, then, logically impossible. This argument assumes that the maximum, or upper limit, to what the mind can attribute to God is self-contained in the meaning of the word God. No such upper limit exists in defining pain, temperature, length, or numbers, for example. A longer line can always be drawn, a greater number imagined, a sharper pain experienced, or a hotter temperature described. But to imagine a being greater than God would just be to imagine God more fully. As long as the mind’s concept of God is rational, then the argument is convincing. Anselm’s nuanced argument has provoked centuries of sophisticated commentary. Anselm’s life began among the Alps of today’s Northern Italy, a land of jagged, snow-encrusted mountains which stand over the green valleys below. One night the boy Anselm, asleep in his remote valley home, had a vision. He was called to the court of God on a high summit. Ascending to the very peak of a mountain, he entered the presence of the royal court and sat at the feet of the Master. God asked the boy who he was and where he came from. Anselm answered well and was rewarded with sweet bread from heaven. And then he woke up. Anselm never forgot this dream. He recounted it, in detail, many decades later, to the fellow monk who wrote his first biography. Saint Anselm’s mind never really came down from that high court he first visited in a childhood dream. He walked in the highest ranges, above the clouds, hiking from summit to summit, his pen piercing the blue sky to gaze directly into the realm above. We ask your intercession, Saint Anselm, to help our faith to understand its object. You did not leave man’s sense of wonder unchallenged but sought to organize human thought to meet the challenge of God. Help all thinkers to be open to finding as much as searching.